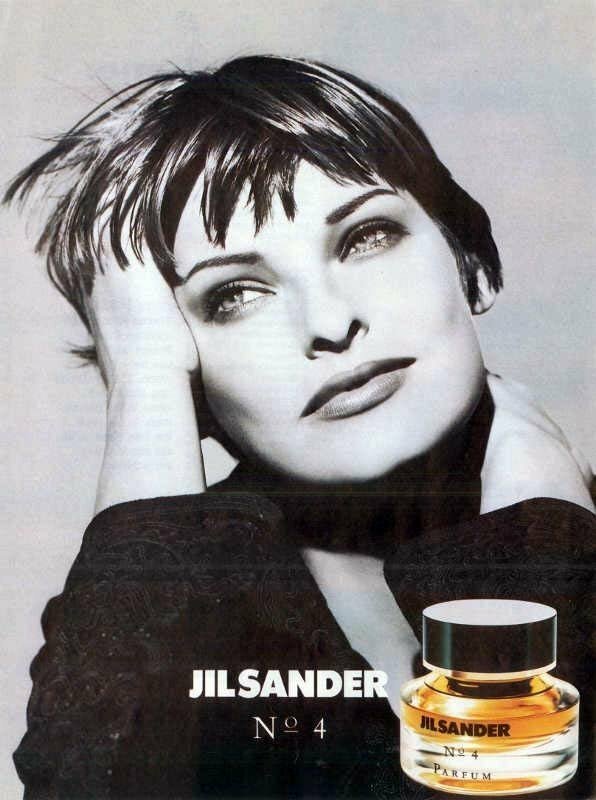 Nº 4 (Eau de Parfum) is a popular perfume by Jil Sander for women and was released in 1990. The scent is spicy-floral. Projection and longevity are above-average. It is being marketed by Lancaster. So today I put on Jil Sander No 4, the whole nine yards: Shower gel, body lotion and the juice. Took my shower this morning at 6:20 am. Now it's almost 5:00 pm and the smell is still lovely and noticeable. In fact, the longer I wore No 4 today, the more beautiful the fragrance became. With a lot of Jil Sander frags, most of them I absolutely adore by the way, you have to reapply quite a bit. This darling however is like the energizer bunny: She keeps going, and going and going. Strangely I could swear I detect honey, but there is no honey listed in the notes. Maybe it is the plum, being sweeter than I would have expected? Whatever it is, she is truly spectacular and I really love her. So far none of the Jil Sander fragrances I have tried have disappointed me, and No 4 will also always, ALWAYS have a place in my heart and my drawer. 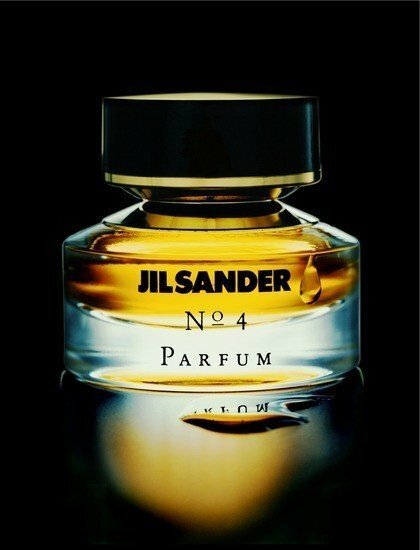 In No 4. by Jil Sander, Michel Almairac manages to create a Tuberose heavy fragrance that sits luxuriously between the sillage bombs of the 80's ( Poison, Giorgio, Lou Lou) and the more sparkling Tuberoses of the noughties (Carnal Flower, Michael Kors, Beyond Love). No4. is, admittedly, in very good company. The fantastic Blonde is from this era, as are other wonderful tuberoses like Organza and Amarige, and a little later the fabulous Fragile, to name but a few. It does, however, seem to rise above those ... placing itself firmly in one's senses by being unforgettable! The intoxicating 'precious flower' has woven her mighty spell through the near history of perfumery ever since Germaine Cellier concocted Fracas, that Tuberose by which all others seem to be measured. This Jil Sander version seems to have a slight 80's hangover, but at the same time appears to be reaching into the future to try and draw from the ether what it perhaps could be. The opening blast is rather succulent … a melange of spicy powder and plump juicy fruits, sharpened a little with citrus and deepened with rose. One might think that such a glorious top may deliver an anti-climax further on, but it doesn't. The Tuberose here awakens triumphantly … the other notes bowing to her royalty as she is followed by her ladies-in-waiting, Jasmine and Ylang Ylang. Her depth and breadth are all encompassing as she rises regally above her minions. I do tend to get carried away by this note … suffice it to say that the Tuberose in Jil Sander no4. is everything one expects it to be, and more! The dry down here is a wonderfully solid base of Sandalwood, Vanilla and Musk. Now, I'm not usually a Musk fan, but it's delicate and somewhat old fashioned here … exceptionally unlike that nouveau horror White Musk. I realize that Musk these days is synthetic and it probably is in this fragrance too … it does, however, enhance without overpowering. Civet is listed in the note pyramid, as well as Cedar, Oakmoss and Patchouli. I find no.4 so well blended, that these notes, some of which are usually heavy hitters, simply support without intruding. As a designer, Jil Sander was known for her minimalist aesthetic at a time when fashion was generally over the top. 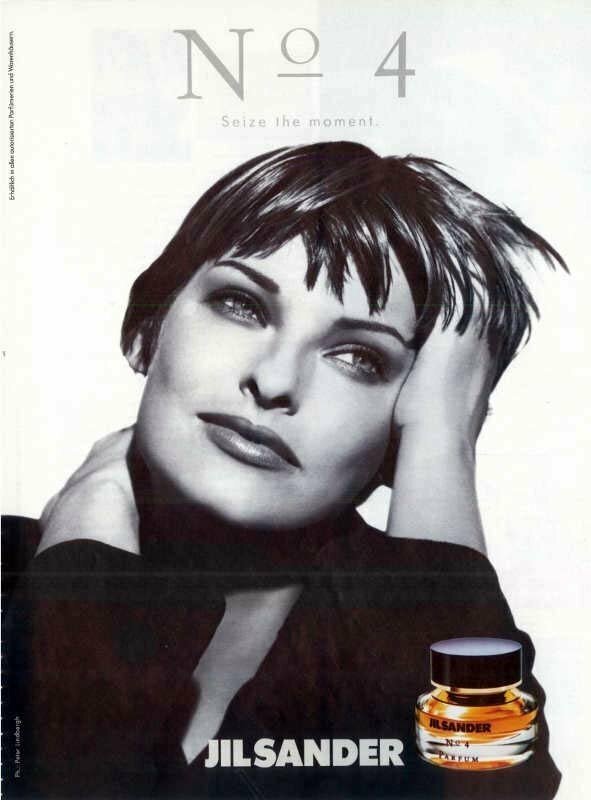 This fragrance seems to be more of a parallel with her use of luxurious fabrics, rather than the quietly elegant lines of her clothing. It's a great pity that this gorgeous Tuberose has been discontinued (I was lucky enough to find a bottle on Ebay that didn't cost the earth) … it's truly beautiful, and without a doubt ahead of its time. Base notes of tonka bean ,coriander,vanilla ,oak moss,sandal,civet ,patchouli give the scent an unusual and unique silage and longevity..one of the best! Write the first Review for Nº 4 (Eau de Parfum)!